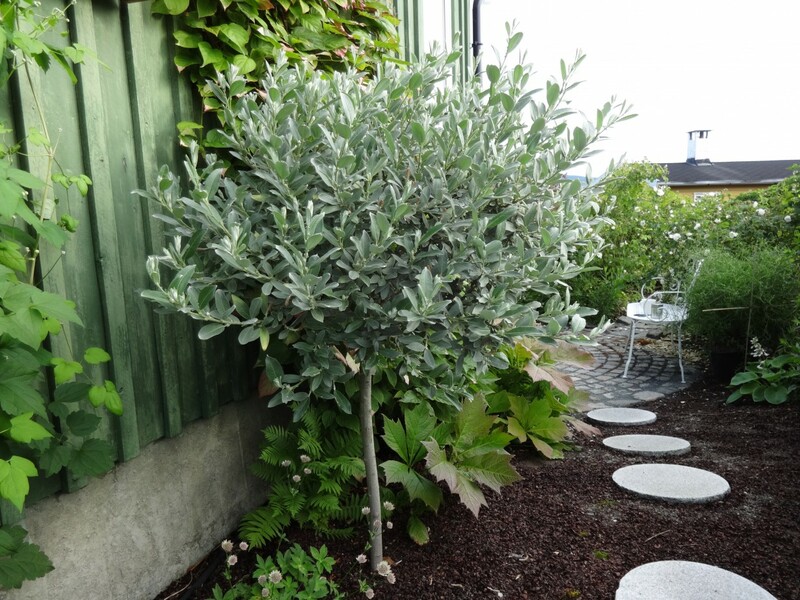 Salix helvetica (Swiss willow) with its soft silvergrey colored leaves, is called «look a like Olive» or «Olive tree of Scandinavia». An Olive can’t handle cold temperature, but the Salix Helvetica is hardy. In the garden, willows are often over-looked. But willows are useful as nectar producers and one of the earliest sources of food for honeybees. And let’s not forget those charmingly fuzzy catkins so early in the year. You know in that moment that spring is straight ahead.